The hill station of Dharamsala, established by the British in the mid-19th century, is today the home of the Dalai Lama and the Tibetan Government-in-Exile. It has a spectacular setting, being close to the perennial snowline and built along a spur of the Dhauladhar mountain range. 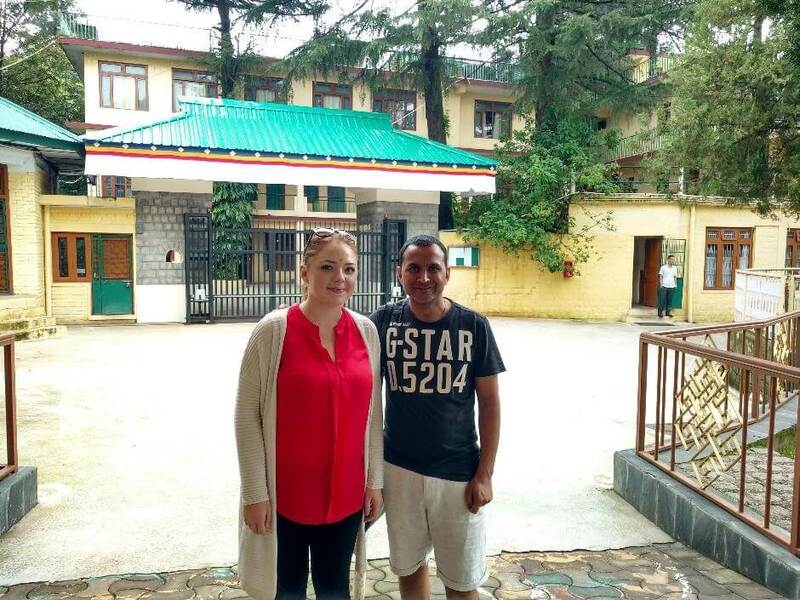 When the 14th Dalai Lama fled Tibet in 1959 after the Chinese occupation, Dharamsala became his new home, and the base of the Tibet Government-in-Exile. 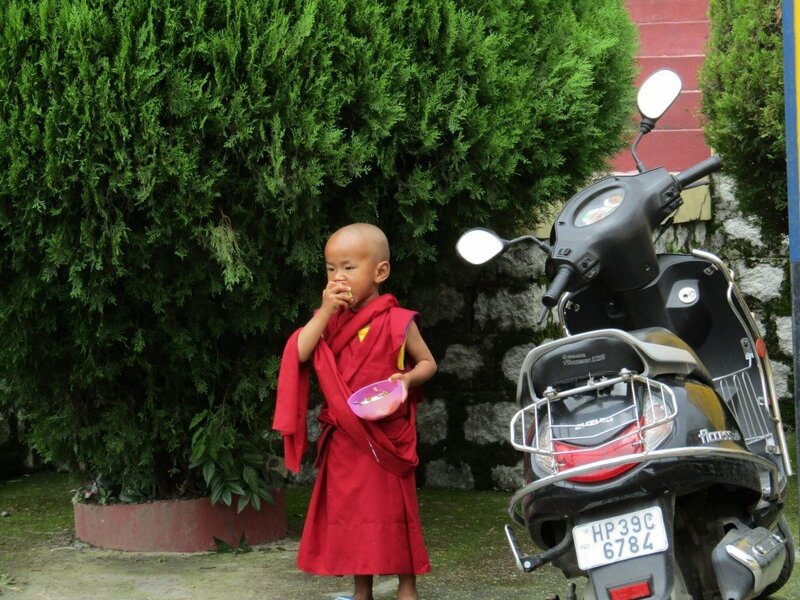 The town is today often called Little Tibet, preserving Tibet’s religious and cultural heritage, keeping the Tibetan cause alive internationally, and serving as the focal point for the 100,000 Tibetans scattered in refugee settlements all over India. 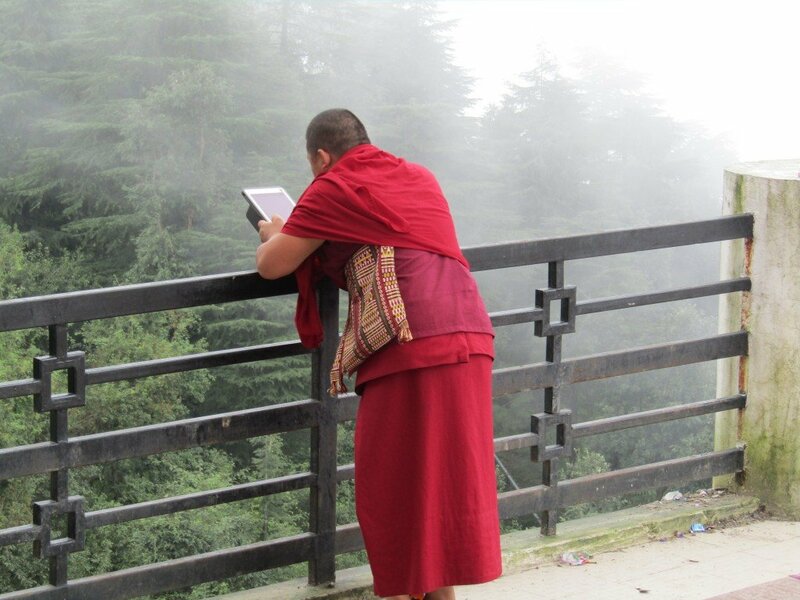 Many Tibetans have made McLeodganj their home, and therefore the town has a strong Tibetan influence; crimson-robed monks on their way to the monasteries are a common sight. The town consists of two sections: the lower bazaar at 1250 metres; and the upper town, known as McLeodganj, at 1768 metres. Although Dharamsala is the better known of these two neighbouring towns, McLeodganj is the base for the Tibetan community and the headquarters of HH the Dalai Lama. His Holiness holds teachings at his temple that are open to the public, and visitors can often see him, yet even when he is absent his presence is still felt throughout the town. 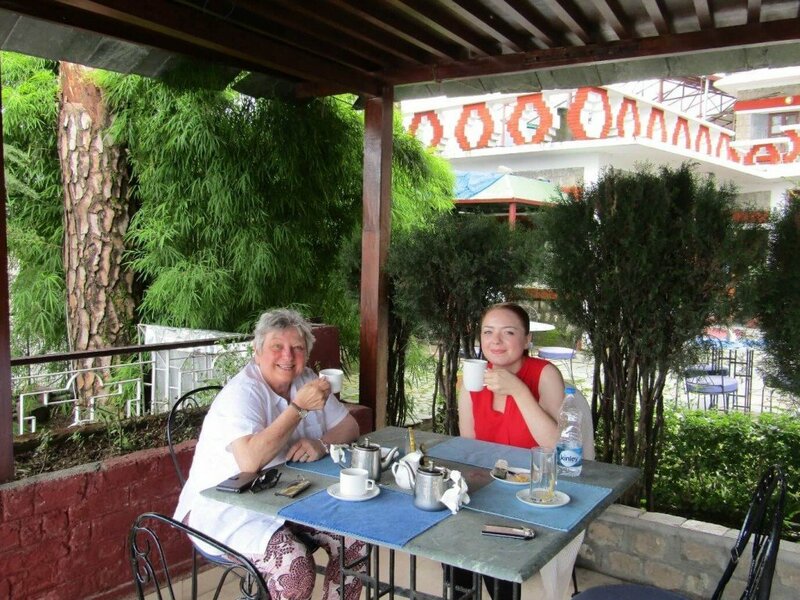 Restaurants, hotels and cafes typically hang framed photos of the Dalai Lama laughing or sipping tea. Stores install small shrines to him, and street vendors sell all sorts of accouterments; from prayer beads, to singing bowls, to incense holders. McLeodganj, the upper town named after David McLeod, the lieutenant governor of Punjab in 1848, is primarily a Tibetan settlement. Its focal point is this complex, which contains the residence of the Dalai Lama (not open to visitors), the Namgyal Monastery where monks can be seen debating in the afternoons, the Tibet Museum and the important Tsuglagkhang Temple. This complex is the main focus of visiting pilgrims, monks and many tourists. The revered Tsuglagkhang is the exiles’ concrete equivalent of the Jokhang Temple in Lhasa, Tibet. 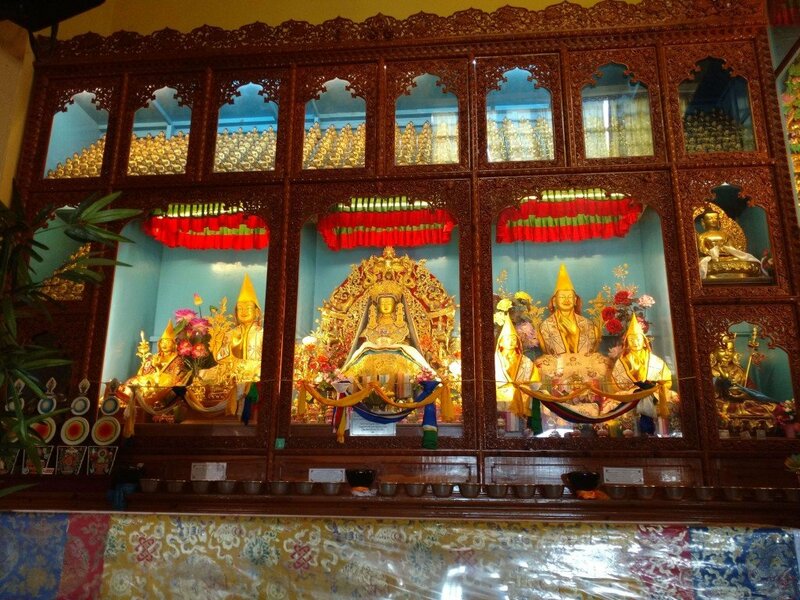 Sacred to Avalokitesvara, the Tibetan deity of compassion, it enshrines a 3m-high gilded statue of the Sakyamuni Buddha, flanked by Avalokitesvara and Padmasambhava, the Indian scholar who introduced Buddhism to Tibet. The Avalokitesvara statue contains several relics rescued from the Jokhang Temple during the Cultural Revolution. 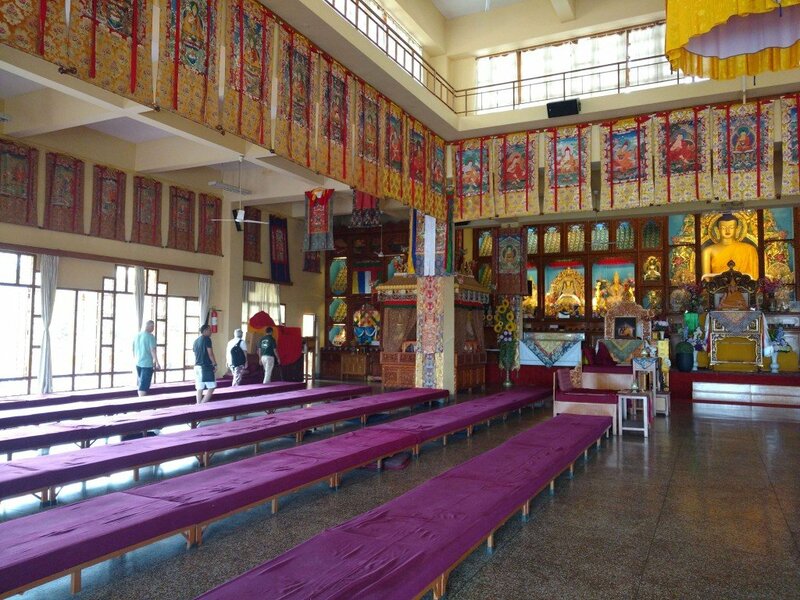 Before visiting the main chapel, pilgrims first visit the Kalachakra Temple, built in 1992. A simple hall, painted in yellow, it contains mesmerising murals of the Kalachakra (Wheel of Time) mandala, specifically linked to Avalokitesvara, of whom the Dalai Lama is a manifestation. Sand mandalas, representing the universe, are painstakingly created here over a period of time and then ceremonially destroyed to help the monks meditate. The remaining buildings form the Namgyal Monastery, where you can watch monks debate most afternoons, driving their points home with a theatrical clap of the hands. 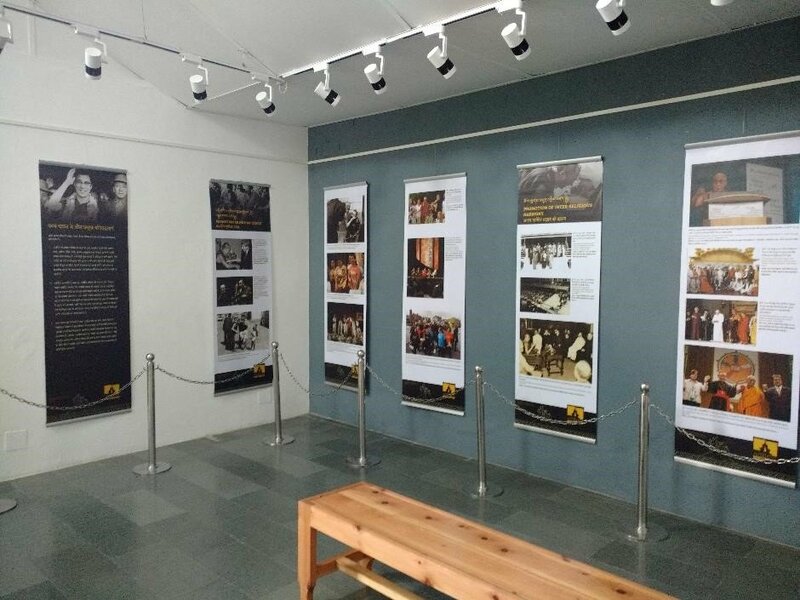 Just inside the main entry gate is the Tibet Museum, telling the story of the Chinese occupation and the subsequent Tibetan exodus, through photographs, interviews and video clips. A visit here is a must. We were deeply touched by the museum and the stories it told. The wonderful Norbulingka Institute was established in 1988 to teach and preserve traditional Tibetan art forms, and you can watch woodcarving, statue-making, thangka painting and embroidery as you tour the various workshops. The shop here sells the centre’s expensive but stylish craftworks and home-décor items, including embroidered clothes, cushions and wall hangings, and sales benefit refugee artists. Also here are delightful Japanese-influenced gardens and the central Deden Tsuglakhang temple with a 4m-high gilded statue of Sakyamuni. 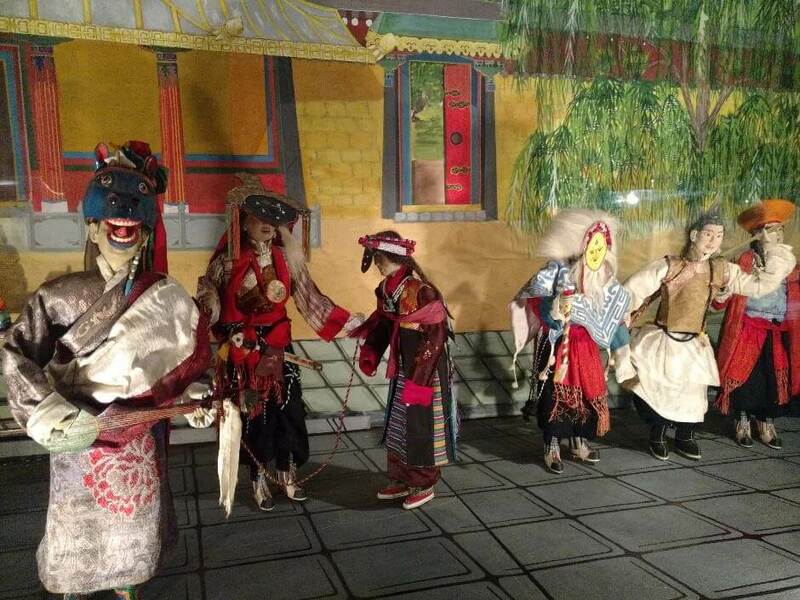 Next to the shop is the Losel Doll Museum, which uses charming puppet dioramas to illustrate aspects of traditional Tibetan culture. A short walk away from the complex is the large Dolma Ling Buddhist nunnery. 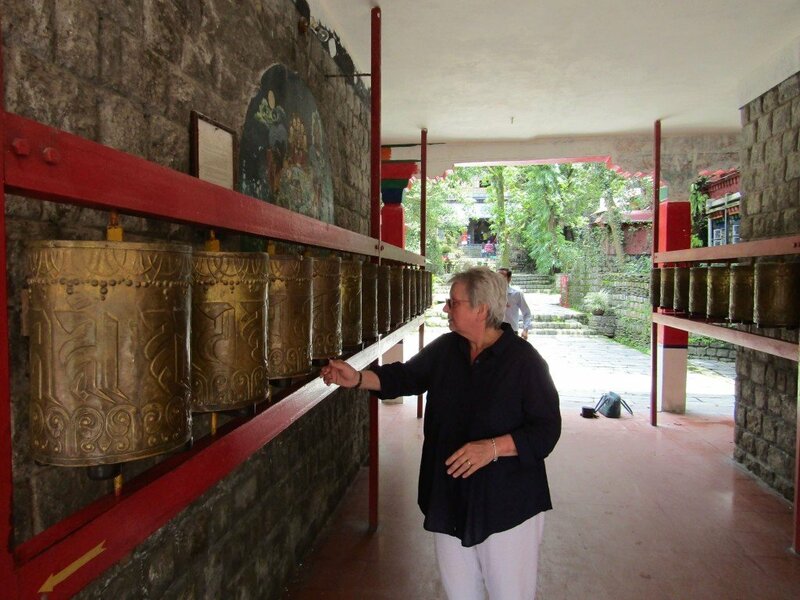 For those wishing to try their hand at Tibetan arts, Norbulingka offers customized workshops for visitors, lasting from a half day to a month! 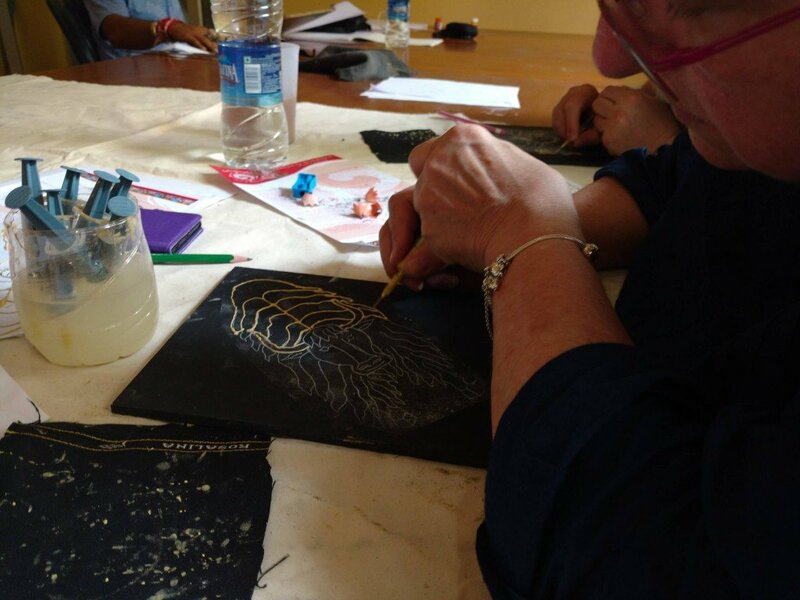 Classes on offer include Thangka Painting (a sacred Tibetan art based on the proportions of Buddhist dieities), Wood Painting, Wood Carving and Applique. We opted for the Wood Painting class. Tibetan wood painting is a special technique of embossing, traditionally used to decorate furniture and the walls of temples. This technique of relief painting gives a three-dimensional look to the designs. Upon arriving at our half day class, we were first invited to select one of four traditional designs. We were then taught how to trace the design on to our wood. With our design ready, we were shown by the master how to create our embossed outline, using a syringe to carefully apply a mixture of cement and glue. 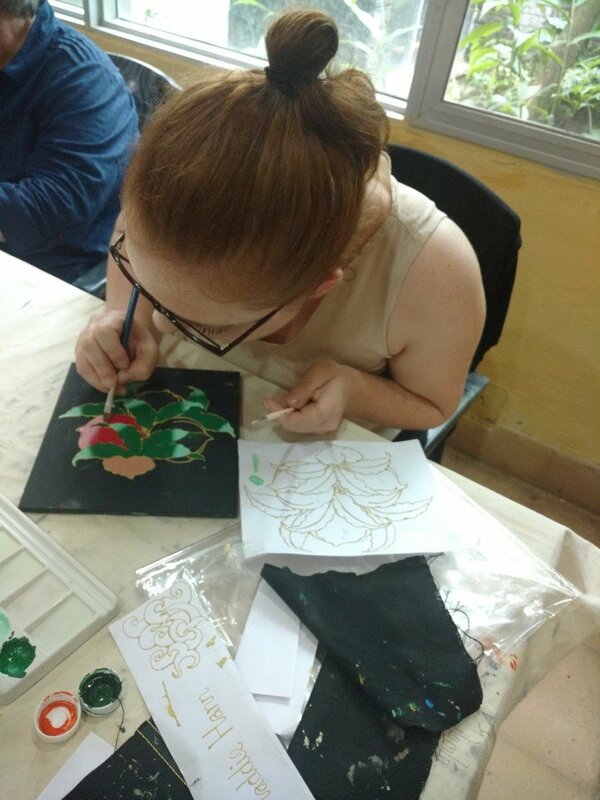 With our outline ready, we got started on the painting, eventually finishing off our pieces by outlining the embossed areas with gold paint. Beginners are invited to take part, as well as those more proficient in art. The workshop would be tailored to your skill and the time you have in hand. For those whose schedule allows, a longer workshop or a day or two would allow you to complete a more intricate design, or create your own design. 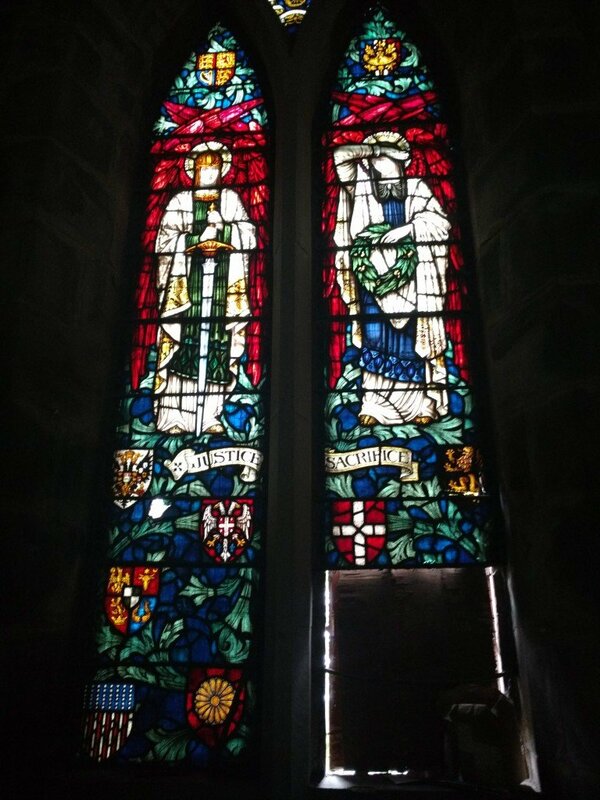 We thoroughly enjoyed the afternoon and would say it was a highlight of our visit. The experience was extremely relaxing and felt almost like meditation. 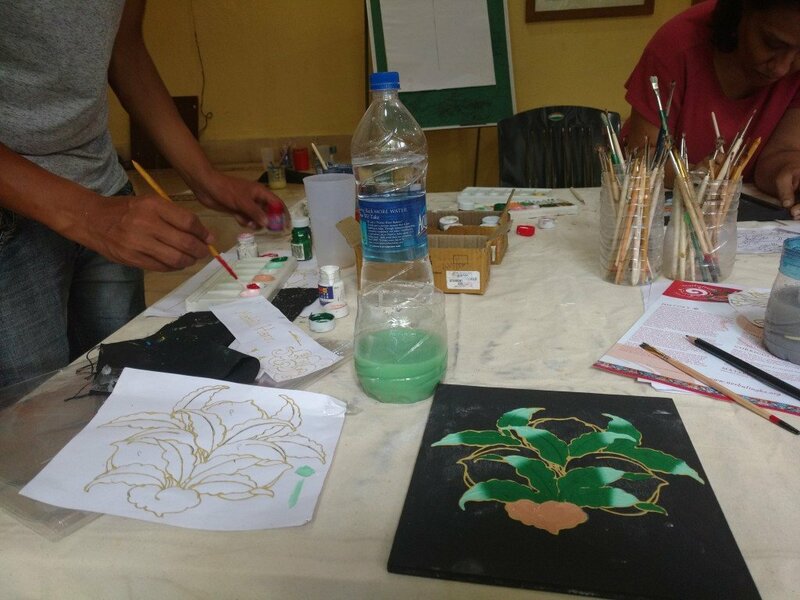 For those few hours, we weren’t thinking about work, life, or anything else; we were just intently focused on our paintings! The structure of the class was informal and friendly. Inside this government compound, the Library of Tibetan Works & Archives preserves Tibetan texts spared from the Cultural Revolution. Many have since been translated into English and other European languages. Upstairs is a fascinating cultural museum, with statues, old Tibetan artifacts and books, and some astonishing three-dimensional mandalas in wood and sand. Also worth visiting is the Nechung Monastery, the seat of the Tibetan State Oracle, whose predictions about major events in the coming year carry great weight in the Tibetan community. 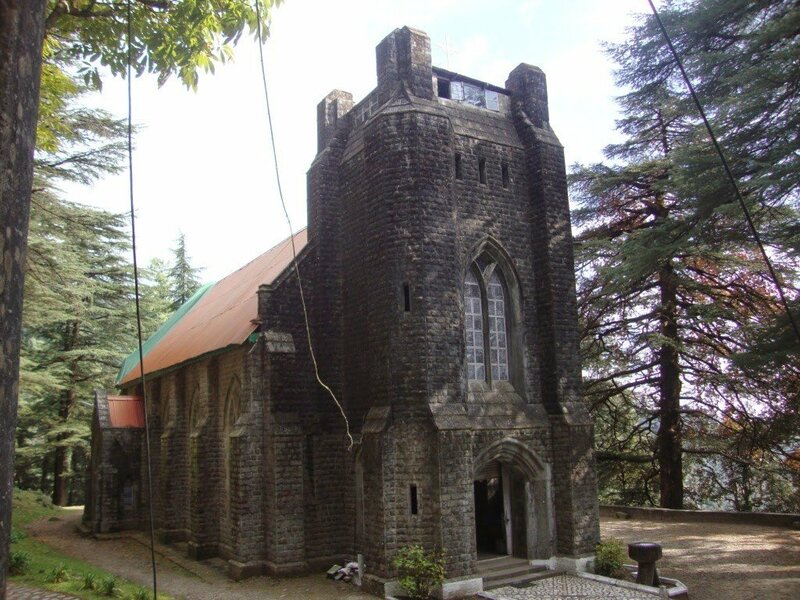 Just off the main road into McLeodganj, this brooding church (dating from 1852) has handsome stained-glass windows and is one of the few remaining traces of McLeod’s days as a British hill station. The cemetery contains the graves of many victims of the 1905 earthquake, as well as the rocket-like tomb of the Earl of Elgin, 23rd Viceroy of India. 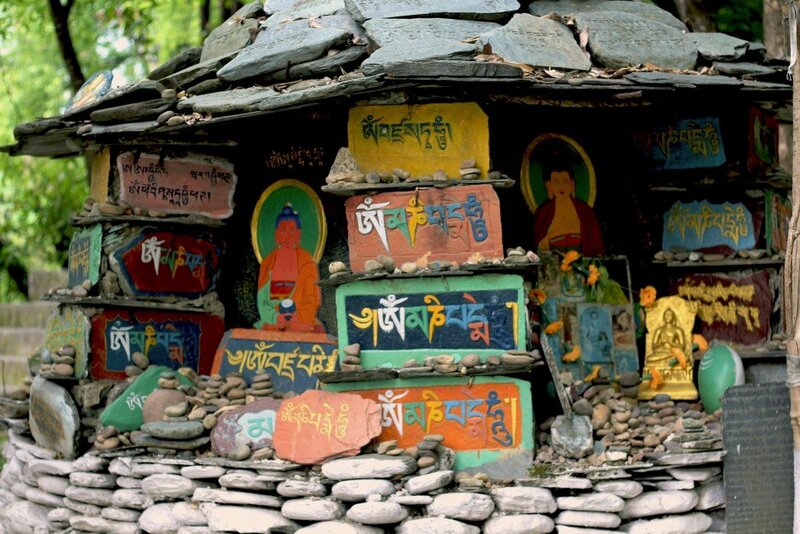 Where to rest your head in Dharamsala? We stayed at, and would highly recommend, Chonor House. 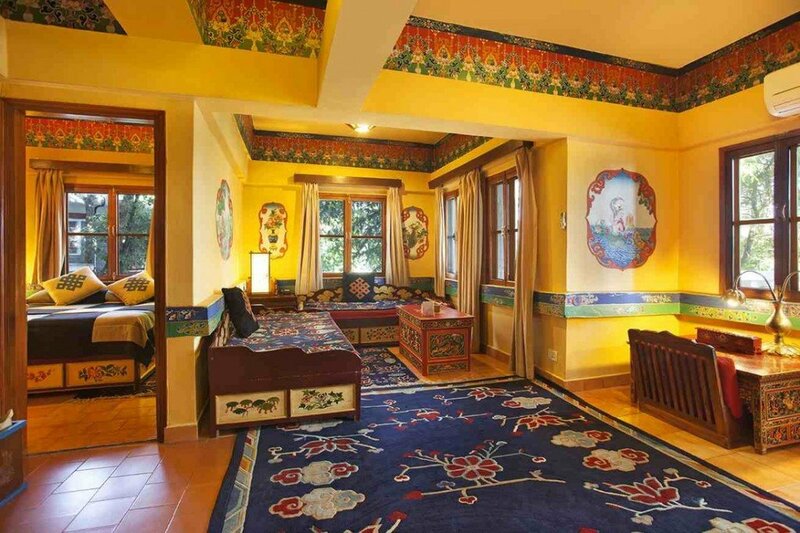 A small friendly hotel of just 11 rooms, Chonor House has a wonderfully distinct Tibetan influence, with the décor in each bedroom depicting one aspect of Tibetan life in bold murals. There is a library, comfortable lounge and restaurant serving huge portions of delicious Tibetan, Indian and continental food (we’d recommend the Thenthuk; a traditional Tibetan noodle soup). 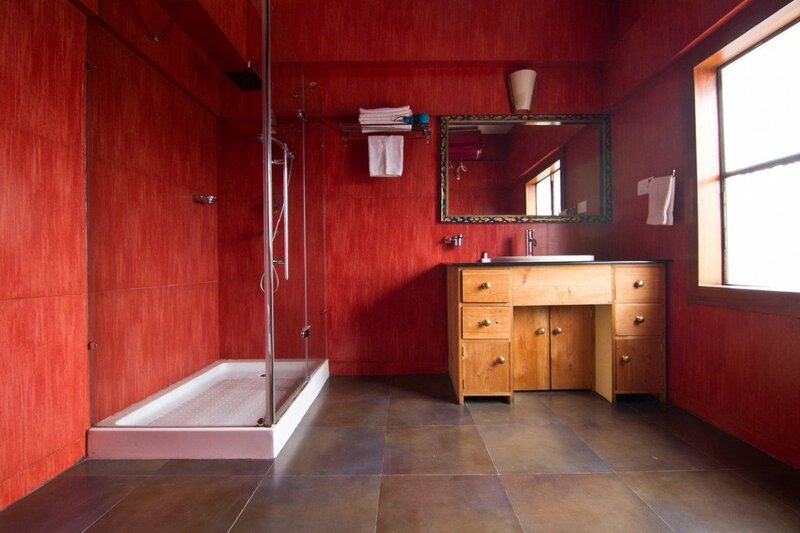 Chonor House is not a luxury property, but it’s incredible energy and location – right opposite the Dalai Lama’s residence and monastery – make it a very special place. It is an ideal location for those who’d like to be in the heart of the action, however it can be noisy at night (dogs barking are audible). 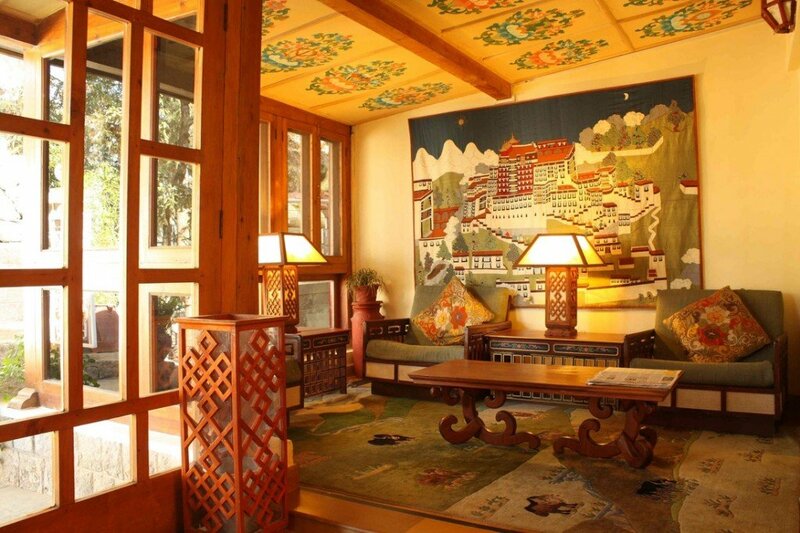 For those who’d prefer a more zen-like environment we’d recommend their second property, Norling House, which features the same charming rooms and décor but is located within the peaceful Norbulingka Institute. Norling House would be ideal for those taking workshops at the institute too. 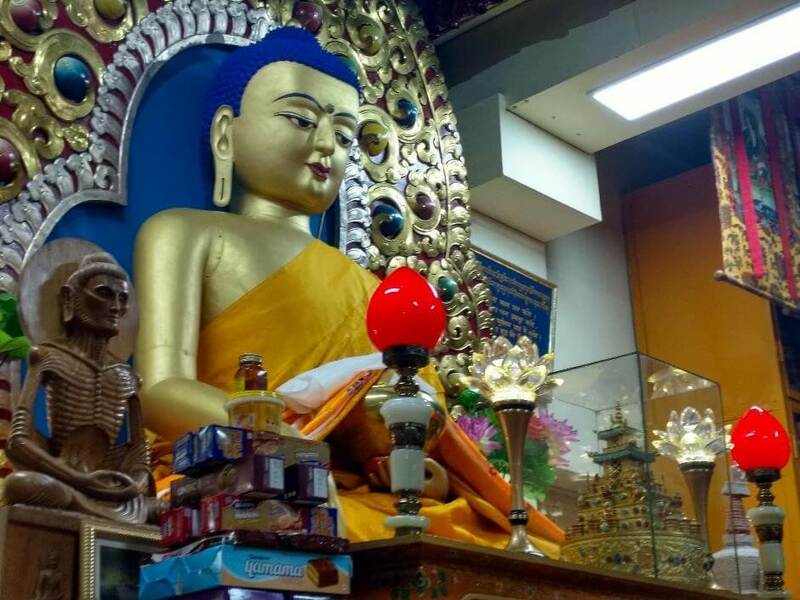 How can Dharamsala fit within my itinerary? Dharamsala can be accessed by road to/from Amritsar (you can read about our recent stay in Amritsar by clicking here), and takes about five hours either way. Or, it is within a four hour drive of Dalhousie, a beautiful and still relatively undiscovered hill-station. Alternately one can fly in or out from Delhi, with Gaggal airport being about an hour’s drive away. If you’d like explore Dharamsala and McLeodganj on your upcoming trip to India, please do get in touch. We’d be delighted to assist with your arrangements, and as specialists in luxury tours of this region we’d be an ideal match to craft your tailor-made tour.